Nat shares tons of awesome snack ideas for school and after-school that your kids will LOVE, including tips for packing snacks and making sure your school allows them. Sponsored by Popcorn, Indiana & G.H. Cretors. Hey! Happy back to school! Not really sure where you fall in the back-to-school time of the year but today we are doing something pretty unique and it is a back-to-school snacktacular. Now here’s the way that this is going to go today okay? Today we’re going to be talking about packing tips, snack ideas, and what else? We’re going to make some recipes and we today are partnered with two fantastic companies and I don’t know if you know but it’s a secret obsession of mine. So today we are partnering with G.H. Cretors, which I hope you guys have seen them. This is really like a gourmet popcorn and it’s definitely an obsessive popcorn so I’m giving you a heads up on that. I have not tried a few of these flavors. So today we’re going to try them live. So I’m a little stoked that I’m going to have some popcorn. I haven’t had popcorn way too long. I’m pretty sure it’s because I ate so much popcorn during our Oscar movie showcase that I was like I’m good for a minute. But today the obsession starts all over again. So G.H. Cretors and the other company that we’re partnering with today is Popcorn Indiana. This is funny because for a while I used it like me and the kids always buy this. We buy the movie theater butter popcorn. And true story. The people at Popcorn Indiana sent me a bunch of popcorn so I literally got cases of popcorn for this live feed. Uh you can’t go wrong with that. But here’s where the problem started. My twins found out that we had popcorn. And so we had friends over the other day. So me and the parents of their friends were sitting outside and my kids and my friends’ kids busted into the popcorn cases and they ate four bags of popcorn. So when I tell you that this is a favorite treat of ours the kids couldn’t believe it. So I actually do not have any movie theater butter to taste today or make with things with today because my kids literally ate all the popcorn. So we partnered with Popcorn Indiana and GH Cretors. We’re going to do a back to school snacktacular. We have prizes to give away and we have tips and tricks on how to pack snacks for your kiddos. Now if you notice that I keep looking over here. I maybe I should move this a little bit. I’m going to do something so crazy right now and I’m going to move something. I’m here so if I pause for a second it’s because my phone of course is still on. So I have moved this and I have a comments over here so I could see that Kelly’s on and Andrea is on and we have a bunch of people on today. So welcome. 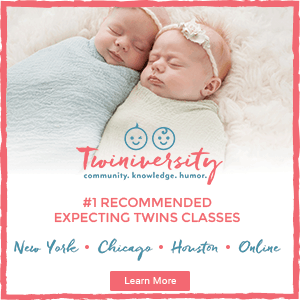 First thing I want to know before we jump into our crazy day snack making and snack tips is have your twins started school or are they going back to school? Where do you fall into the back-to-school timeline? I know. Like it’s so interesting because some schools like in Florida you guys are already back to school. California I’m not sure so tell me if your kids are back in school. I know that there are even some schools in New Jersey that have started. And now there’s a few schools throughout our country that are doing full-time school so 12-month programs and instead of having like a two-month summer break they’re doing you know longer weeks between sessions. So I think that that’s interesting. 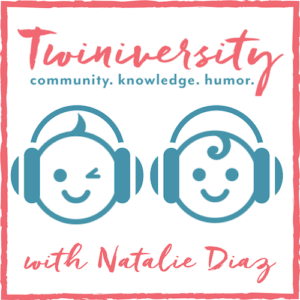 And if I have not already introduced myself which perhaps I haven’t I am Natalie Diaz, the founder of Twiniversity. I’m the mom of thirteen-year-old kids. I don’t know how it happened either. But I am constantly on the hunt for snacks. So I got lunches down. Lunches I usually do leftovers from last night’s sandwiches or whatever. But I often pack snacks for the kids and I remember when the kids were little they used to have multiple snacks throughout the day. So it was not even like I had to pack a snack. It’s I had to pack the 10 o’clock snack and then the 2 o’clock snack. And I always wondered if the school thought that my children were hobbits. I know that Julie’s kids are back to school and they are now packing multiple snacks per day. So there are a lot of issues. How do we pack the snacks? How much to bring? How much does the school bring, and so on and so forth. We’re going to cover that all today but that’s a quick rundown of who I am and what we’re going to do. Hopefully, the people from Popcorn Indiana and GH Cretors could pop on today because I have a question too. I was reading something on their website. First of all the GH Cretors website has so many awesome recipes that I was not aware of this. I made myself aware of this and ironically I made one of the recipes that are on their website. So my popcorn intuition covered something that they have had on their website. Perhaps I saw it maybe like a year ago I saw it on their website and then it just stuck in my head. But I did make something that’s right in front of me. It smells so good. I know that my kids are going to try to jump in and eat all my good stuff. So the first thing that I want to talk about is I want you to think about how your kids snack. Do your kids like a heart of your snack do they are they grazers? Do they eat snacks throughout the day? What type of kids do you have? And think about how they eat snacks. So that’s the first thing. And of course being you know we could go triplet route or we could go twin route. Your kids may not want the same snacks they might not eat the same snacks and your role as a parent is to make sure that you’re packing snacks that your kids will actually eat because the point of the snacks is to get them from the morning to the night without them crashing or becoming hangry or whatever. So first of all think about the type of snacks that your kids want. Now here’s the next problem. You find the snacks that your kids like and you give them the same thing every day and then you try to change it up and they’re like what? I won’t eat hummus. What I won’t eat carrot sticks. What I won’t eat this. So if they get two snacks a day try to balance out stuff you know they love and stuff that you know they’ll try. And you could really MacGyver it and make dips and all this other stuff. And there’s a lot of ways that I’m going to show you that you could send them a bunch of stuff at school and you would be set okay. I want to show you a few going to school snacks. Then we’re going to talk about after-school snacks. So going to school snacks I first want to talk about different containers. Now your kids you may send your kids with go to school with containers like this. I forgot to grab something wait stay right there. I got it. So you may send them to school with stuff like this. Now here’s the question – can they open it? Before you start using a new container for school please make sure that your kids can actually get the containers opened. The teachers at school do not have the time to go around from child to child to child making sure like opening everybody snacks. So it’s important that you make sure that the containers that they have are openable for tiny little hands. What you should do is before you start using the new container you should have them practice. All right have them practice opening it. More importantly have them practice closing it because if you filled this up with whatever you know strawberries or banana chunks or whatever the heck you put in here when they open it they eat it they didn’t finish it they put it back in their lunchbox. Stuff spills all over the place. So before you use a new container my number one tip please make sure that your kids can open and close the containers before you start sending them to school. Now there are different sized containers. I recommend that you buy a bunch of these. They are all stackable and more importantly they’re washable and they’re reusable. There’s even some fantastic bento boxes that are out there. But if you are somebody who’s like I refuse to hand wash anything like some people we know, make sure that whatever you buy before you buy it is dishwasher safe. If you buy the stainless steel bento boxes I will tell you why they say don’t put them in the dishwasher. Sometimes people put them in the dishwasher and then they start rusting and you have to throw them in the garbage. Same thing goes for drink containers. If you were buying drinking containers that need to be hand washed only you may want to not buy it. You may want to skip it. And you should have if you’re thinking you should have everything in sets of three one that’s going to be used for lunch tomorrow today, one that’s going to be used for lunch tomorrow, and one that goes into your dishwasher. So whenever you’re buying drink containers, snack containers you should be purchasing a minimum of three. If you are not somebody who uses the dishwasher everyday okay. Sometimes people don’t have enough dishes to load a whole dishwasher and turn it on. Sometimes people don’t want a hand wash. If you are that type of person you have to think in sets of three. 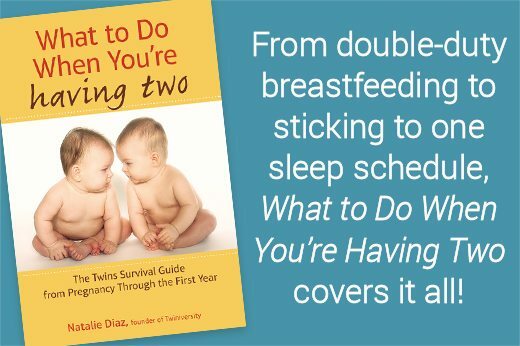 And I’m going to tell you too even though three seem like a lot when you’re planning your budget. Budget for three. Don’t budget for one because if you found like the best snack container in the whole universe and you only had one of them I’m literally going to have to wash it every single day and send it to school the next day. So you want two but then you’ll be like oh whatever we didn’t get home until later, we had a dentist appointment and we had a doctor’s appointment and now I have yesterday’s thing in there. Just buy three. Now the next thing when you buy your containers an issue that I personally have and I know that many families have make sure you have room for these containers. If you are buying the giant bento boxes make sure that three is going to fit are going to fit into your cabinet, the drawer, wherever you are storing these containers. Please make sure that they actually fit. Those are really important just packaging tips. Forget about what goes in them. We have to make sure that they are getting to school with the kiddies. Getting to preschool with the kiddies in a safe fashion right? We don’t want it everywhere. We don’t want it disgusting. We don’t want them getting to school and then the teacher you know was grading a paper and then they couldn’t get the container open the whole snack time and then the teacher finally realizes that your kid didn’t eat. So please write down the three rules: can they open and close it, how many to buy, and make sure you have room for them. So that’s our first thing. Now once we have our snack containers sometimes people like to use one large snack container and put a lot of little snacks in it. And I love cupcake little holders. The silicone ones are the best because they are reusable. But if you’re like I want to have less dishes I just want to use paper. I don’t want to think about it then just use the little silicone cupcake liners. So now I want to have some nuts. I want to have some granola. I want to have some popcorn all right? So these are the different things and you could do anything and also make sure right so look I have three little sections without having the little bento box. Now clearly I would fill these up more. Could you see them? Clearly I would fill these up more if I were really sending this with my kids to school. So that’s the next thing you do not have to buy the bento boxes. They can be a little pricey. There’s one bento box it does a sandwich on the side and then has two compartments on the other side. I use those a lot. I like those. Those are pretty good but the liquids do like if I put like hummus and carrots or something next to each other it doesn’t really work out for us. So just know your containers. You may even want to do a trial run with some foods to make sure that things aren’t going to leak from one compartment to the next. So that is just my little cupcake trick. And I would package this up and I would go okay. Now that’s the next thing. Now before you even start thinking about packing if your kids are starting a new school or if your kids are in a school that they’ve been for year’s double check every single beginning of the year what are the rules for snacks. Is it enough free is it a dairy-free? We found out Julie’s kids are going to school that shellfish free which thank goodness that she knew because I mean if she sends those kids to school with crab dip like with shellfish I guess shrimp maybe people would go to school with so check the rules of your school. Double triple quadruple check. And please make sure that you are bringing the appropriate snacks for your kids. Now here’s the crazy thing. Just because your school may be peanut free it may not be tree nut free. Peanut allergies and tree nut allergies believe it or not the same kid doesn’t always have both. I have a good friend that has tree nut allergies but can eat peanuts. Makes no sense peanuts are more of a vine than growing from a tree like a pecan. However you want to say that. So just know find out the rules of your school okay? So we talked about packing, we talked about school rules. I don’t know. Could you see I wrote things down so I could keep myself on track? The next thing I want to talk about is balance. When you’re packing snacks for your kids you have to make sure that it’s balanced. This is well let’s talk about something. That actually is balanced right? So here there are some popcorn that are definitely if you’re concerned about salt if you’re concerned about calories if you’re concerned about sugar there is definitely some popcorn choices that you should consider over others. This is by the way this is also I think it’s our second favorite. They send me multiple bags of this one so luckily the kids did not eat all of this but this particular popcorn. Okay so a serving size is 3 and 3/4 cups and it’s a hundred and forty calories alight? So they broke it down and it’s only 37 calories per cup. So if you’re somebody that’s like I want to watch what the kids are eating. I want to make sure that you know it’s not all crap. Just because it’s made for kids does not mean it’s going to be healthy for them. So please make sure that you are always reading the nutritional information. Just gaze at it. I’m not saying don’t buy it there so you said made like whatever my kids like this they’re going to eat it I still want you to always look at the nutritional information because sometimes on the final say like you know only 35 calories but then you look on the back and you realize that the 35 calories is for two pieces or for a half a bar instead of a whole granola bar or something like that. So please make sure that you are balancing the kids snacks with healthy, nutritious foods and if you want to have some junk in there go for it. If you want to let your kids have Fruit Loops or whatever absolutely but just teach them that everything is good as long as it’s in moderation. And if you start talking about that when they’re little it’s not going to be a discussion when they’re teenagers okay. So always remember have everything but just try to balance it. Not only balancing calorically and balancing nutritionally but balancing texture. So don’t have four mushy snacks. Don’t have four crunchy snacks. Have some snacks that have different texture and this is especially important for the littles while your kids are still developing motor skills okay. And I’m not saying this is for the six month olds but I’m saying that if you’re you know you’re thinking about preschool and beyond. Do not give them 18 crunchy things because then they will get used to having crunchy things. Give them some kind of crunchy give them some mushy give them some soft and then they will have they will get used to having a variety of textures with their snacks. With their meals just think about it. I’m just saying okay? All right I want to go. And I love that you guys are thinking about it. Costco granola bars are nut free. Yes also you know Costco has those fig bars. Oh my gosh so delish. So many great things. I love it so much. Julie says our school doesn’t allow any junk, no cookies, cupcakes, no sweets. It’s really limited on what I could send. You have to find out your rules because when would you ever think that no cupcakes would be allowed right? You think like oh you a party and you have cupcakes. And now all of a sudden you’re like we’re having a party and we have to have a fruit platter. Which I’m going to tell you don’t discount because you could do a lot of fun things just with fruit. You can make skewers. You could really make a lot of fun stuff. So don’t think that your school is just trying to be a bunch of buzzkills. I feel like those kids don’t want them to have anything. There’s always an alternative and there’s always a reason so that is something. Some schools don’t even allow you to bring goodie bags. Or I mean there’s a there’s a lot that has changed since I was in grade school ten years ago right? Because some babies having babies. A lot has changed. A lot continues to change. But then also some schools do change their rule based on the last year. So we got that. Now let’s talk about making some snacks. I want you to start thinking outside of the bag right? Instead of outside of the box. You get something often people think like oh you know let’s see this is it. This is all that we’re going to have. Have this one popcorn. I’m going to say let’s do something crazy especially if you want to do something different. If your kids are having a bad day if your kids are celebrating something if it’s literally Tuesday and you want to change the universe change it up. Always let the kids have a little element of whimsy and surprise. It’s so much fun. So one day when they come home from school right you guys were saying that they come home and they’re like ravenous. Instead of just having pre-made snack bags which are great instead of having pre-made snack bags have a buffet on the table. So what I think would be pretty cool as think about things that accompany each other. So what you could do is you give your kids like an empty container or you give your kids an empty bowl whatever you’d like them to use and then you give them a few different items to choose from. So here’s one. Just have a bowl full of pretzels. You can’t beat a bowl full of pretzels. So I’m going to take a few pretzels okay? I’m making my own snack mix and then I have a bowl full. This is actually granola. Now don’t roll your eyes at me. This is like paleo granola so there are no grains in it. It’s literally just shredded coconut and different types of nuts of course this is if your kids have no allergies. But this is super high in protein and if you look at it and by the way it tastes extraordinary. If you look at it looks like a treat on its own. But now we’re going to use it as an add on. Now you could use shredded coconut. Make sure there’s no sugar on it if that’s a concern for you. Toasted coconut you could add. You could toast it yourself which I know that’s a lot of work. I’m into a – I don’t want you to do a lot of work either but just take a little bit of this I’m adding it to my pretzels okay. And then the next thing is if you want to just go crazy and you want to have like a super-fun snack just some chocolate chips. And if you’re worried about them using too many put a spoon in it. Then it’s going to make them portion control it so they don’t go totally nuts. So you can also find the mini chocolate chips you don’t have to buy the large chocolate chips. And I’m going to take a few chocolate chips okay and then I’m going to take some of my popcorn. I’m going to have a bowl filled with popcorn and I am going to add in some popcorn. Now of course if you have tiny kids that have tiny hands maybe you want to assist them. Maybe you want to say limit two handfuls per scoop or whatever. And then if they really want to get super fancy just for this is totally unnecessary but an element of fun have them put the top on make sure the top is okay and they can shake it up. Now they feel like they made their snack. And when kids feel like they have a little bit more control they’re more likely to eat it. And now you could do this with vegetables. You could do this with fruit. You could do this with snacks. And if they like the snack before you put the snacks away say, hey why don’t you make your snack for tomorrow. Go ahead right now because I don’t want to really take everything out tomorrow and make bowls for the kids again. I love them and all I do but this is a special treat that we’re going to have. If you want while they’re there say hey guys you know what we’re going to make our snacks for the week. So go in your little pantry, get out a few Ziploc bags and you have them make their snacks for the week. Oh you know I love pretzels, I want some granola, and I want some popcorn. Okay. and once that’s all done make sure that we could actually close up the little bag. Once that’s done and close it up. And guess what? Now I literally could put these into my snack drawer. I could put them into a box in the kitchen. I could put them wherever the kids can reach them and I know that they have a portion control healthy snack that I approved. And then you could save a lot of money purchasing stuff this way versus buying the little you know tastes of snack packs that go from you know from Costco or whatever. So that is definitely another idea that I want you to have. Okay now the next thing I want to say is let’s go to my actual list right. I want to make a recipe with you. We’re not going to make it live because I will burn everything down and set the kitchen on fire and that would not be an okay thing to do. But one of the things that my kids have always loved is my kids love rice Krispy treats. Who’s kids love rice Krispy treats? show a pause double pause triple pause. Have you made them before in your house? How often do you make them? What’s your two cents on rice krispie treats? Now I personally find rice Krispy treats to be a little bland. I don’t love rice Krispies. it’s not one of my favorite snacks that I’ve made. I don’t absolutely love Rice Krispies but you know what I do love? I do love popcorn. So I said why can’t I make popcorn treats right? Didn’t we used to get popcorn balls when we were like trick-or-treating for Halloween or whatever? So I vaguely remember eating popcorn balls and I hope my grandmother made them. Like now that I’m really thinking about I have no idea where they came from. They could have been store-bought. They could have been homemade. No one knows. But I’m bringing it back. I’m bringing back the popcorn ball guys. So what you do and here’s if you do not know how to make a popcorn ball. In a pot you are going to add I would say but literally I’m not following your recipe this is my own recipe because I find that the recipe on the back makes it makes them too heavy. So I am going to use a half a stick of butter. This is actually two sticks of butter so I’m going to use a quarter of this. So I will use a quarter of this. So a half a stick of butter and then my gosh where the heck of my marshmallows? Then I’m going to take a half a bag of marshmallows or more marshmallows and this is really based on you. When I read recipes on websites I’m like you guys are adding too much. Like this is too much. I just need enough melted marshmallow to get the ball together. I put in a half a stick of butter and then I add an about a half a bag of marshmallows. You can add a little bit more depending but make sure the flame is low because if you burn the butter it’s going to make the marshmallows a weird color. By the way if you burn the marshmallows they also turn brown. So once you melt all of that which by the way this is never coming out again because I waited too long to take it out of the pot. Once you melt that all down then you add in your popcorn. So I have added in about I’d say four cups of popcorn to a half a stick of butter. A half a bag of marshmallows and four cups of popcorn once that’s done okay? Now I have the molten lava popcorn mix you can spread it out on the pan and you can cut it later. Now here’s the one trick that I have learned. This is one of my favorite things in my house is now coconut oil and I’ve become super obsessed with it. I use it to cook. You could use it for your skin. You can put it in your hair. Like coconut oil is so really it’s just good for everything. The other great thing that coconut oil is good for if you are breastfeeding you could actually use this as a lubricant if you are going to pump. So that’s an interesting thing. And you could use it to massage your arms, your legs all of that. So this I do keep in in our fridge. 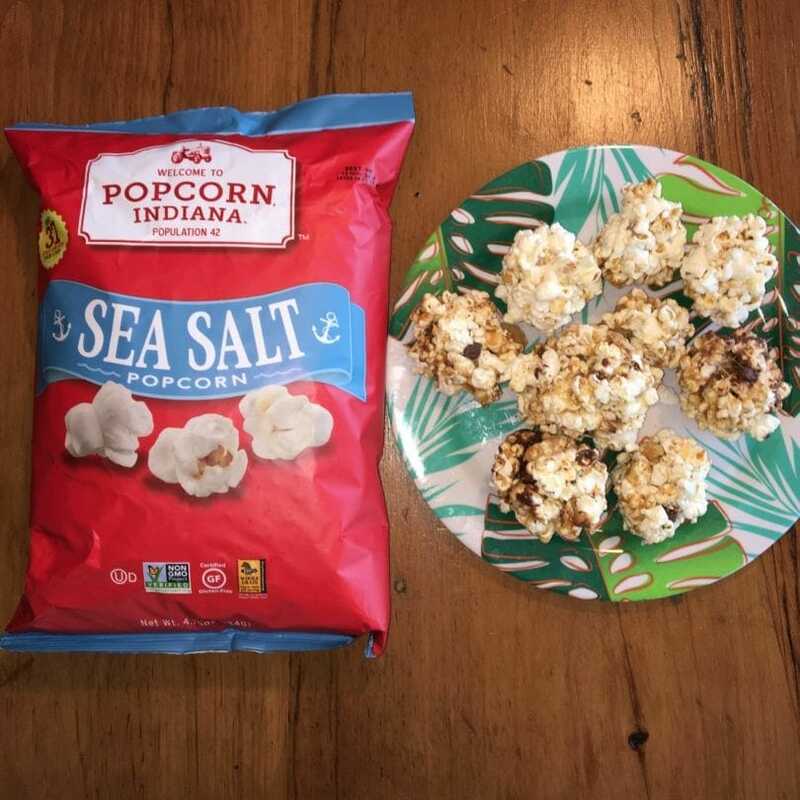 I know that you could keep it out but because I keep it in my fridge it’s solid and it will if it’s like heats up clearly it goes to a liquid but I take a little bit of coconut oil and I rub it on my hands and then I get this stuff to make these popcorn balls. Okay I get a little scoop out of my pot and I make popcorn balls boom boom boom. That’s my popcorn ball. Now the good thing is you could make them as big or as small as you’d like. If you want to make almost like tiny little popcorn balls you can make them bigger so kids could eat them like an apple. So that’s the first thing that I would do. Make bigger ones and you can make them all different sizes. So here I have made some tiny ones and I’ve made some large ones. If your partner loves popcorn balls maybe make some bigger ones. You can even shape them into snowmen. That’s another thing that you could do because it is sticky. So in the winter time I can make popcorn snowmen and we could put it in an if you go to like Michael’s where they sell those clear bags you could put them in a clear bag. Put a little ribbon on top give it to your teacher as a teacher gift. So popcorn balls I love them. Now here’s the other awesome thing about popcorn balls. 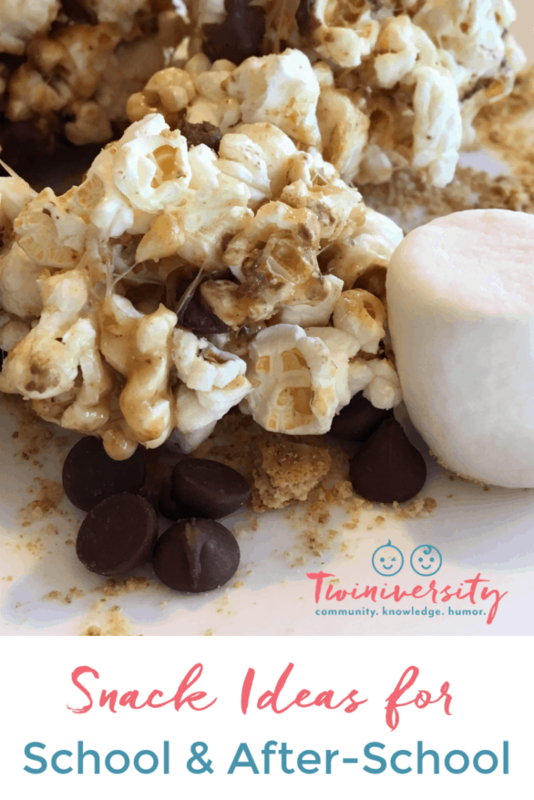 They are a great way to add other things in to the popcorn balls. You can add in dried cranberries. You could add in more coconut. I could add in some apricot, some dry pineapple but make sure that whatever popcorn you’re using is going to compliment your add ins. So this particular one I keep referring to this back but this really is my favorite one. This Himalayan Pink Salt I find that it’s salty but it’s not too salty. And I love salty and sweet. Salty and sweet people where are you? Hello? I want to see you salty and sweet people. Paging you in aisle two. I am a salty sweet person. So the marshmallows make it sweet. The popcorn makes it salty. If I were going to do a second one I do the sea salt. The sea salt is another one of my favorites. And now if you want to make it like salty savory then use the movie theater butter. If you’re like I want to do it then do it with movie theater butter I won’t judge you. Nobody’s looking it’s okay. I do not recommend you use the cheddar. Don’t skip the cheddar is what I’m saying to you. So now because I like to change it up a little bit and because I have some I always have some staples in my house. This I don’t know if this is you but I always have chocolate chips. I actually store them in the freezer so that the kids just don’t eat them like tiny baby savages. So I store them in the freezer. Don’t tell them that. And sometimes I’m telling you if I really am afraid that they’re going to eat them this is horrible and don’t judge me. You know when you buy frozen bags of vegetables I actually cut off the top of the frozen vegetables and I put my chocolate chips in there so the kids don’t know I have chocolate chips. Because what if I need to make emergency cookies. What if I need I want an emergency fondue party? I don’t know but my kids are notorious now that they’re big for searching my freezer so and my husband – I don’t think he needs the chocolate chips but sometimes he does eat the chocolate chips he hears me. See now he knows. Would you have ever looked in the broccoli? Never! Do you think the kids would? And other things I hide in there Halloween candy. If there is a box of frozen broccoli no frozen cauliflower that’s like it’s in my freezer. The box of cauliflower must be ten years old. How nobody realizes that the same box of cauliflower is in our freezer for 10 years I’ll never understand it. But there’s secret butterfingers hidden in there so in case of emergency my husband would never eat the butterfingers. I don’t have to worry about him but the kids would totally annihilate them. So I always have chocolate chips and I always have graham crackers because graham crackers are a nice little snack. Sometimes I want to make a pie crust because I do like to cook. I don’t even know the last time I made a pie crust. But we always have graham crackers. Plus they’re inexpensive. In the popcorn balls I added some chocolate chips and I added some graham crackers. I just smush them up recklessly. Also a great thing to do with all those broken graham crackers. I added the graham crackers in and if you look here are my s’mores popcorn balls. Some of them have more chocolate than others. Some of them have more graham cracker. The graham crackers falling out but it really worked. And this tiny one. Look how sweet that is. I want to eat all of these guys. I just want to like recklessly eat this. Oh my gosh the kettle corn where is it? This kettle corn life-changing absolutely a life-changing kettle corn. And if you do want the convenience of having small little snacks then please make sure you can buy these. But I do have an issue with my kids doing portion control because they literally open up the giant bag of movie theater butter and then they just keep eating it eating and eating and eating it. So if you buy the portion control bags we are all set okay? Now before I go on to my next thing, this is the Cretors honey butter kettle corn. Mmm-hmm. Do you want to see it? Could you see that? So the honey butter kettle corn. I don’t even know what to say right now. So now I want to compare it. I love kettle corn but I also love butter. This tastes like State Fair kettle corn. The State Fair kettle corn is often a little too buttery. I don’t know what they put in this. It’s literal honey butter. I’m sorry I know I’m supposed to be talking right now but I’m going to do this like my horses do. And I just want to eat this. I want to keep eating that but there’s too much. So let me tell you about some of the other flavors and let me tell you. Hold on in fact what I want them to tell you about GH Cretors. Guess what? Does anybody know what GH Cretors created? If you guessed that he was the inventor of the popcorn machine you guessed correctly. GH Cretors was a real person and he was the creator of the popcorn machine. This company was founded in 1885. So I would hope that in over a hundred and thirty years you would know how to do popcorn right. And they totally do know how to do popcorn right. So GH Cretors they make some really clever mixes. First of all this one the honey butter would clearly know I swear to you I swear that’s the most one of the most delicious popcorns I ever had. In general I find that their popcorn is extraordinary because if you look at the kernels okay look at the kernel. There’s never those little kernels that are unpopped. This is like super duper popped crazy fluffy. I think they call it like a mushroom kernel or something. It’s something not specific to them. Okay so they make these and it’s like when you chew it, it’s so fluffy and so delicious and because I could show you the other one. Here look this one is their caramel corn okay because it’s so mushroom like right? Like it’s like fluffy on top and holds more stuff so whatever the flavor is that you are looking to get it is literally like stuck upon the top of this. I love their caramel corn so they have a few different flavors. I knew guys know what I like to do with this right hello. 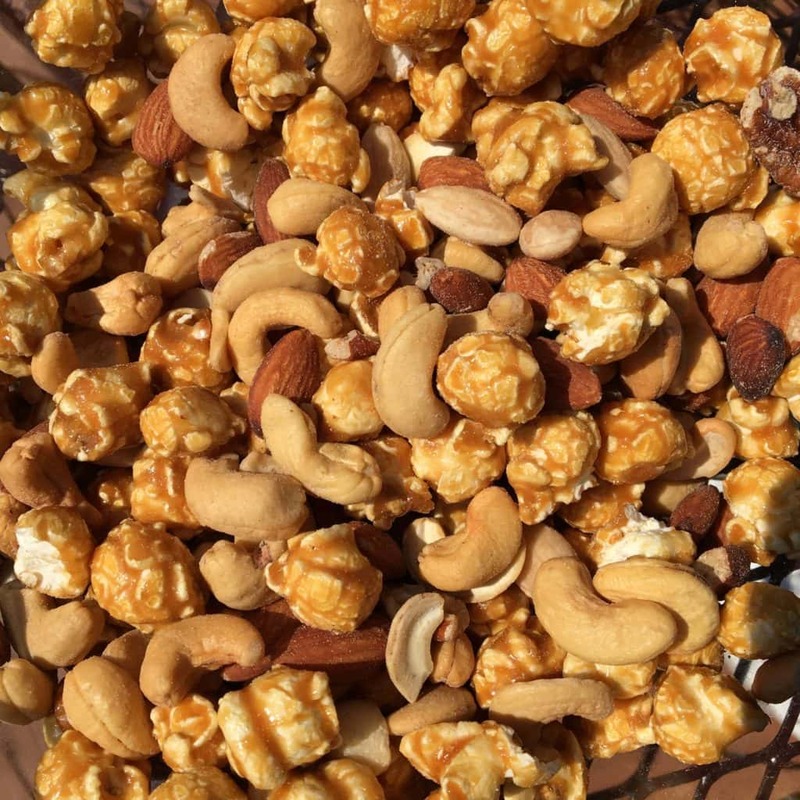 Homemade Cracker Jacks instead of using peanuts which you can use peanuts you could use the honey roasted peanuts. I always have mixed nuts. I like making up mixed nuts better. My favorite nut is now pecan so I make this and I make my own Trail Mix. You could mix these together and what I love is that it’s my own ratio of nuts to popcorn. So if I want two cups of popcorn or if I want more nuts than popcorn I could make my own snack. I would do more nuts than popcorn. I like the salty better than the sweet but I like them together. So if I were making like my favorite if I had a say like what my favorite ratio would be it would be a whole pecan. Well guys I’m going to drop the mic on this one right now. I love doing live feeds on snacks. Then I get to snack and I don’t feel bad about it. 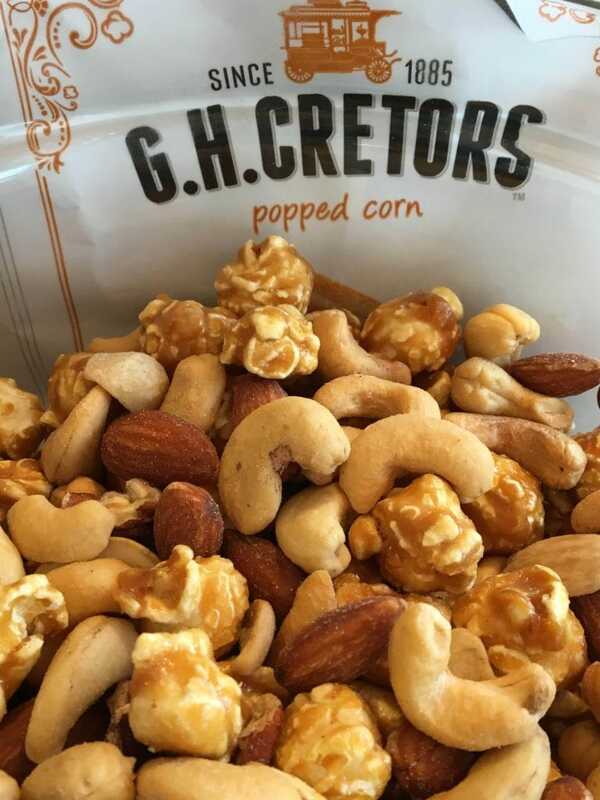 So GH Cretors makes a caramel corn and cheddar. When I first saw this I was like no. I don’t think I could do Caramel corn and cheddar. This is Julie’s favorite. Julie loves the caramel corn and the cheddar. I actually eat both of them but I eat all the cheddar first and then I eat all the caramel corn. I like to have my flavors separated. But I love that it is in the same bag. So this is a good demonstration of salty sweet. Now GH Cretors makes the mix that we just saw. They make a cheese lovers. Do I have the cheese lovers? Um no. I’m pretty sure the kids ate the cheese lovers. I’m telling you right now they’re not punished because I know that I that I really I probably should have been more specific about please don’t eat the popcorn. That I need to have so that I could show you guys so I think they might have eaten the cheese lovers. The next thing they do make is this honey butter kettle corn that we talked about. Here’s another place. If you like a little kick to your popcorn this is the Buffalo and ranch mix. Remember that you should always with popcorn really watch them if you’re giving your kids popcorn below the age of five. You might want to ask your pediatrician because it could potentially be a choking hazard. So you may want to wait and talk to your pediatrician before including popcorn into the lives of your tiny puppies. So we talked about the different flavors. So the buffalo ranch like we said and they also have an extra virgin olive oil flavor that’s very, very pure. It’s very light. It’s very crispy. I as an Italian girl love me some olive oil and it’s real extra-virgin olive oil. When it is popped in olive oil you could taste it and they add just enough salt that every single kernel you’re never going to eat like a cup of it. So I really almost feel like popcorn companies to me than putting a portion size on the back of the bag is comical. The portion size is when the bag is empty. This is my personal problem that I have with popcorn. I don’t know if you guys have the same problem – so the snack bags are out don’t forget you could get the kettle corn. So we have that. So we have the mixed cheese lovers, kettle corn. Then for Popcorn Indiana which if you go back and watch my Oscar movie showcase what we did is every single year for the Oscars I go and I watch this Oscar movie showcase. And so it’s split into two days and depending on how many movies were nominated which ten is the max for the Oscars that can be nominated. I do five movies and five movies. I love popcorn so much but I am NOT a big fan of the actual popcorn from the movies because number one I eat too much of it. So if I buy a bag of popcorn like I said the portion size is the bottom that’s the portion size. So if I bring popcorn with me it’s better right? I just I’ve always found that and yes some people do frown upon bringing snacks into a movie theater. However AMC which thank goodness for them when you’re seeing move than five movies in a row you could bring your own snacks in because they cannot expect you to live on nachos and movie theater popcorn all day long. So you’re allowed to bring your own snacks. And I don’t want you to think that I’m like illegally smuggling snacks into the movie theater. Every movie theater is different. Also if you go to an earlier show with your kids sometimes they really don’t care if you bring stuff with you. So that’s just something to consider. so for the Oscar movie showcases I paired up all of the Popcorn Indiana flavors with a different movie and I really did eat it during that movie. So I think for sea-salt I partnered this with Dunkirk because it was mostly ocean based. And then I also think that I partnered this with them the Shape of water. Okay so that was my other ones. Then there was a kettle corn. I may have partnered that with Lady Bird. That was so much fun. 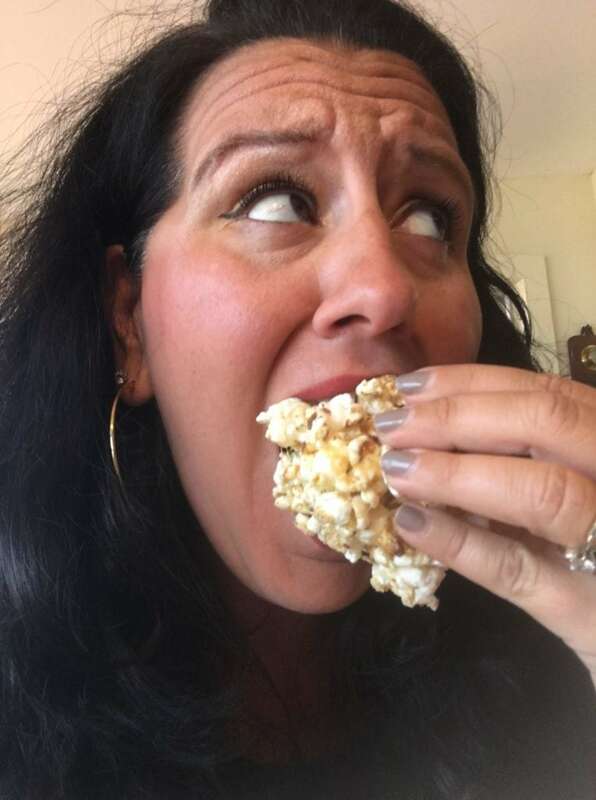 But I got to taste all of the different flavors from Popcorn Indiana and one of the things that I loved about them and that’s what I’ve used by the way for all of these recipes because it’s such a wonderfully pure popcorn right? Like I was saying about the olive oil one. You can’t really use the olive oil popcorn to make too many recipes but when you have like a plain sea salt or the Himalayan salt or even the light counter kettle corn you could really add different accompaniments into the popcorn. So it’ll work for this like the snack mixes. I don’t necessarily know if some of the other popcorns that are already pre-mixed with flavors if I’m going to add in any more flavors to that. But sometimes with the pure flavors this is where you add all the stuff. Now the cool thing about Popcorn Indiana, which by the way is a real place, and yes you could really go, it is super-duper duper small little town. The population is 42. I wonder like Pete if like somebody in Popcorn Indiana has a baby if like the company is going to change it to 43. Could somebody tell me? If anybody if there’s any brand representatives on with a company can you please tell me that? This is heirloom corn, non-gmo, and gluten-free whole grain. And most of them are kosher. So this is also known as a snack that’s going to make everybody happy at a party. Because you get people that come to your house then like now I’m gluten free no I’m only eating whole grains no I’m kosher. Fine. That’s okay because guess what? I have literally one product in my house that has all of that. So these popcorns from Popcorn Indiana and it does say by the way it does say on the bottom of the bags which are which. So if you’re like oh I don’t know is that one kosher? I’m not really sure. Definitely take a look. And you know this is also great items to have in your house. You just have it as a standard stock item in your pantry. You could whip up the trail mix. You could whip up the snack mix, the buffet snacks you could. There’s so much that we could do with popcorn instead of just mindlessly eating it in front of the television. Which is my preferred way to eat it but if you do fine. This by the way I found this on sale. A stop and shop. We went nuts. Me and the kids went nuts. We bought that day I think we bought 12 bags of movie theater butter. So we bought all that they had. Otherwise we would have bought more but it was on sale. I think it was on sale 2 for $6 so for three dollars we got a giant bag of popcorn. Clearly it’s going to be different prices throughout the country but this is what the sale was for us at Stop & Shop. So when we went and we stocked up. We never went to a movie for the entire summer without our bag of popcorn. We absolutely love that. The black and white drizzlecorn. The kids ate that too. So Popcorn Indiana makes a bag it’s actually a slimmer bag because it’s very heavy. But they make popcorn with the chocolate drizzle on it that’s also gone. They also make limited edition flavors. My favorites are that I’ve seen was the coconut drizzle. You can’t find it. I want them to bring it back and there’s a few flavors that I really would like if they would produce hint hint salt and vinegar just saying. That would be my popcorn flavor if I was making one. But um I really loved that coconut drizzle. It was a limited time but Popcorn Indiana does do limited releases of certain flavors. So if you’re at the store and you’re like if you see a limited edition just buy it. I have never been disappointed with any of their limited edition flavors. 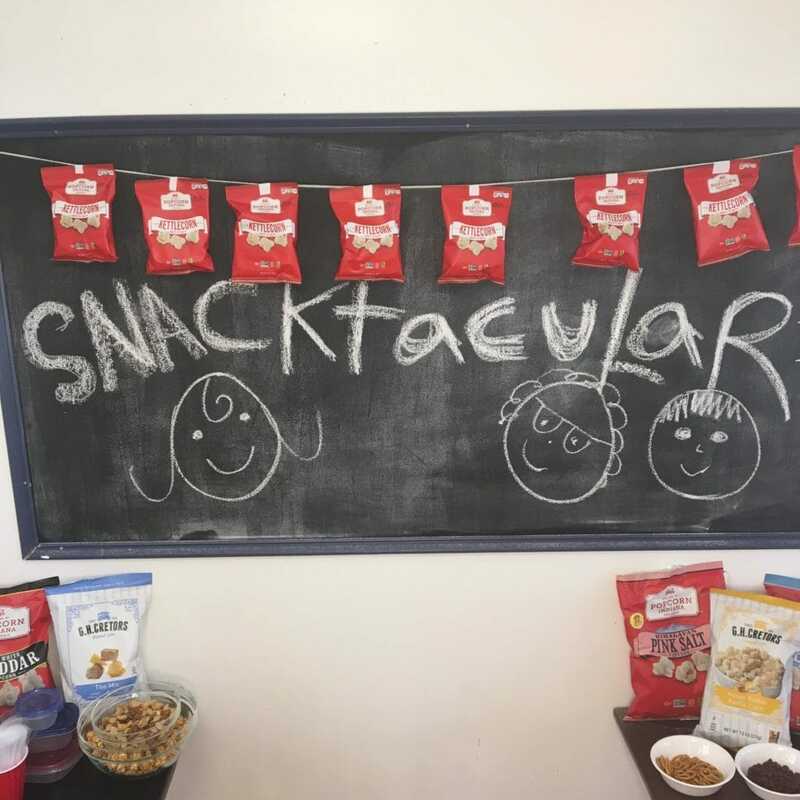 I hope that today you enjoyed our back-to-school snacktacular. Thanks to Popcorn Indiana and GH Cretors but Google this dude. You’re going to be amazed. I was just doing research of this the other day and I can’t even believe the history behind GH Cretors. It’s really really really really unbelievable. They listen to our suggestions. Not saying that that’s what makes good partners for Twiniversity but when we’re like hey listen we really want to do something about back-to-school snacks there so we go like yeah let’s do it. They’re so excited and we get equally as excited to play with them – and I get very excited to play with you guys especially on a Friday. It’s a rare treat for me to play with you guys on a Friday. But I got to go back to my own reality and I have to go back to my own twinnies and my own hubby and my own puppy who’s not a puppy anymore. I gotta clean this kitchen because all I know that all my pain was popcorn balls yet. It’s going to take me about four and a half hours to clean this kitchen. So happy back to school. I hope that it is unbelievably successful. I hope the tips that I gave you today are really beneficial. Really use them, especially the one about opening and closing the containers. Everybody forgets to do that. Why guys? Don’t learn the hard way like some people we know. Make your kids test it out. So I want to wish you happy back-to-school. I want to thank Julie and the rest of my Twiniversity team for playing along today. And of course I’d like to thank G.H. Cretors and Popcorn Indiana for playing with us as always because we love you guys. But most importantly I want to thank you. Yeah I see you. I know you watch me all the time. I know you joint love Twiniversity. We love having you and I love being able to do things like this with you. So happy back to school guys. And you’re going to see me you’re not going to see me for a second because I’m going to go up screen but if you have any questions send us a direct message and we really do highly recommend that you join the newsletter of the GH Cretors and you also like the Facebook page of Popcorn Indiana and GH Cretors because when those limited-edition flavors come out you cannot miss them. Especially if they bring my coconut drizzle. So see you later alligators and happy back-to-school.